December 10, 1930 to Henry and Emile (Pretzer) Wiegel. He married Barbara Bendle on February 18, 1951. 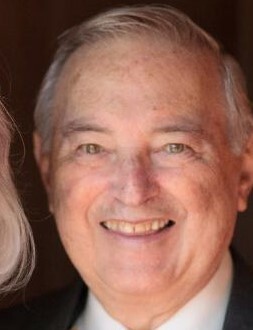 Richard served in the U.S. Air Force from 1950-1954. His entire career was spent as an aircraft mechanic. Richard enjoyed bike riding, traveling, canoeing, and building their retirement home. sisters, Wilma Sellin and Esther Nalchajian and numerous nieces and nephews. Predeceased by his parents and brother-in-laws; Robert Sellin and Dr. Charles Nalchajian. Visitation will be held at 11:00 a.m. on Monday, April 22, 2019 at 1125 Cranston Road in Beloit, WI and a Celebration of Life will begin at noon. Memorials may be made to Heartland Hospice. Cremation services were completed by D.L. Newcomer Funeral Home in Brodhead, WI.